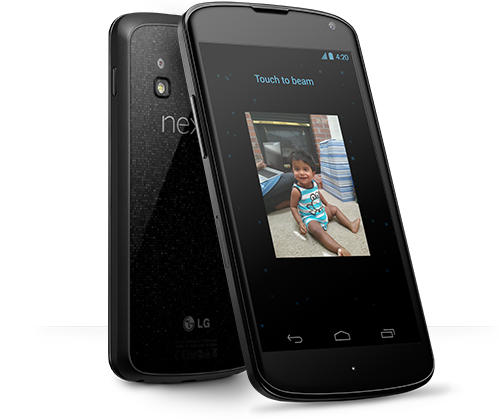 The Nexus 4 has, as with nearly all Nexus devices before it, delivered a host of great specs for a the price of a mid-range smartphone, and with most vendors offering at least a black and a white version of each handset, it looks as though LG will be doing the same with the Nexus 4. Being the first device to ship with Google’s Android 4.2 Jelly Bean, it was always going to attract attention, but with a slick design to match the buttery smooth interface, I wouldn’t be surprised to see the Nexus 4 sell incredibly well in the run-up to the holiday period. Those looking for the white color variant as opposed to the black one may not have to wait too long, as one retailer here in the United Kingdom has already put up pre-orders for a white version, set to release on 13th December. Telecoms company TalkTalk has the white Nexus 4 listed for pre-order, although as far as we can see, it’s only currently available as a bundle with the Nexus 7 tablet. Despite the deal mentioning a white version of the new smartphone, the image accompanying the listing depicts the black version, so as well as not knowing whether it will be sold separately from the Nexus 7, there’s also no way of checking it out. While it may be the case that the Nexus 4 in white will merely be a UK exclusive, or perhaps only available to those that buy the Nexus 7 as well (or maybe all of the above), it’s still encouraging news for those that like a little bit of variety. Considering how popular the Samsung Galaxy S III was – despite shipping predominantly in white from the get-go – it’s fair to say a large portion of smartphone users would welcome the introduction of the brighter finish. 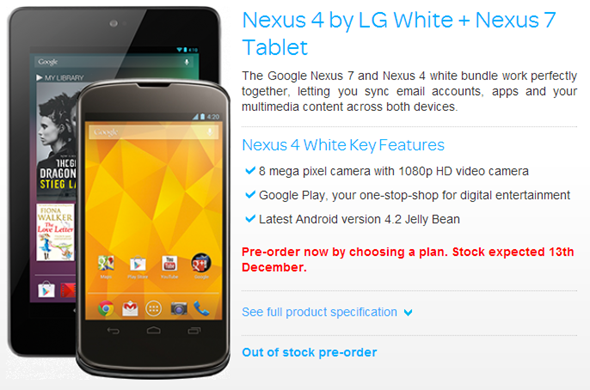 Are you looking forward to the prospect of a white Nexus 4? While I think the black model does look good, I am intrigued to see the alternative. We’ll keep you in the loop should we hear any more with regards to any other shades of Nexus 4, and hopefully somebody will come through with some images for us all to salivate over.